Why is the 25-year-old France midfielder, who just won the 2018 FIFA World Cup, so concerned about ‘achhe din’? The Bharatiya Janata Party (BJP) rose to power after the 2014 Lok Sabha elections on the back of a resurgent nationalistic fervour, and a promise of “ache din” for Indians. The same poll plank that won the party a huge mandate four years ago is now being used by the Opposition to corner it. In the run-up to 2019 parliamentary elections, the Congress and other parties are not letting go of any opportunity to target the ruling dispensation. France’s World Cup winning-midfielder Paul Pogba became the Opposition’s latest tool, as the Indian National Congress (INC) cleverly used a video of the footballer to mock the Narendra Modi government. 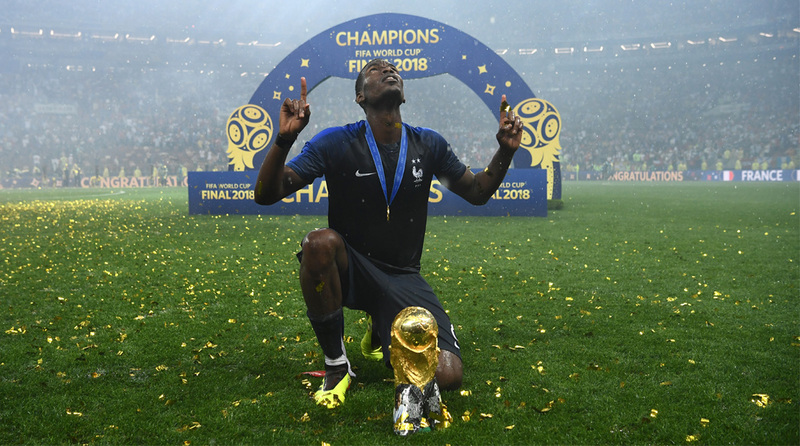 Pogba, who starred for France en route their 2018 FIFA World Cup win in Russia, seems oblivious to the storm he’s kicked up in a country he’s never even visited. Les Blues, among the favourites for the quadrennial tournament, delivered on their billing and they have now jetted off for a much-needed break before the 2018/19 season starts. The 25-year-old, who plays for Premier League giants Manchester United, is expected to miss the start of the upcoming season, his manager Jose Mourinho confirmed earlier in the week. While the dates for the 2019 elections are not officially out yet, the social media jibes are only likely to get more frequent. And who’s going to be the next ‘unwitting pawn’ in the desi Game of Thrones? American tennis star Serena Williams? Or maybe India’s favourite son, Virat Kohli? Best to keep your eyes peeled, ladies and gentlemen.